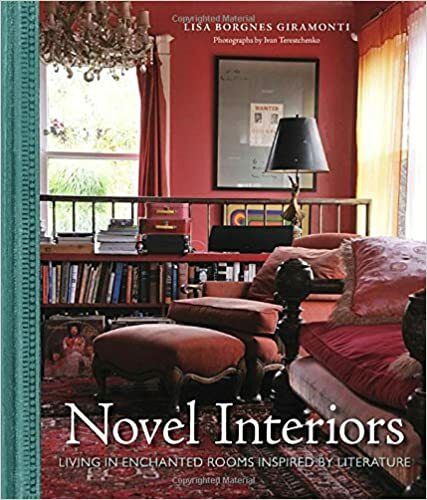 For those who have ever lost themselves in the stylish worlds of novels like Sense and Sensibility, The Age of Innocence, Wuthering Heights, The Picture of Dorian Gray and countless others,В this design book embraces the fantasy of time and place, showing you how to bring some of those elements into your own home. Lisa Giramonti inspires a new approach to decorating: by teaching us through the lens of worlds we may already know and love.В WithВ gorgeousВ photographs by World of Interiors photographer Ivan Terestchenko,В aspirationalВ quotes,В and tailored reading lists, Novel Interiors reveals the essence and details of interiors mentioned in great literary works. This is a stunning, photo-driven book that shares enchanting and timeless ways to live more elegantly.